Discussion in 'General Airgun Chat' started by Torchwood, Mar 9, 2011. Hi guys, I'm considering having a Paul Wilson job on my Daystate mk4 ST done. 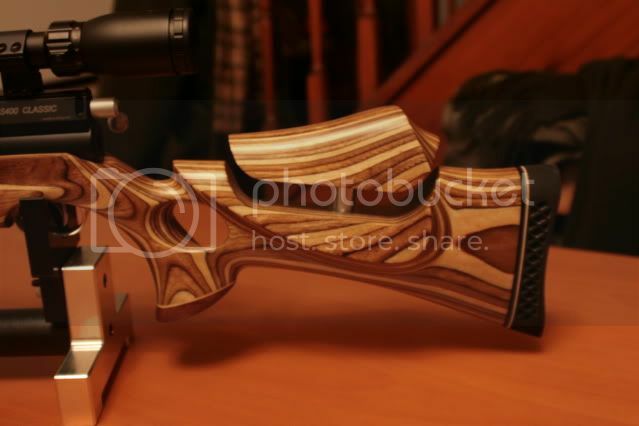 I have seen his work on spotter stock which looks great, but haven't seen on thumbhole stock. 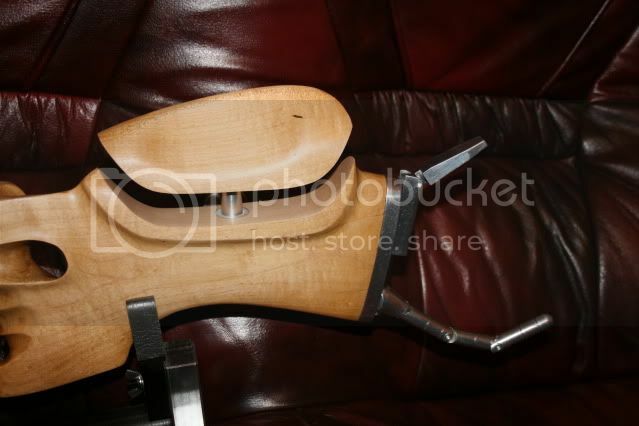 Has any one done this work on thumbhole stock? I would appriciate a photo to put my mind at ease. Mk4 done by Paul Wilson about 8 months ago for £70 well worth it. Thanks lavant lad, but your attachments dosent open up. But yours is sporter stock nigel. I just had a look. Thanks anyway. Tony, Ive Emailed some pictures, hope you receive them. He lives in High Wycombe, which is closer to yourself than where Paul is fella?? 3 of our Members got their stocks done at the end of last season, and PW has done a great job on them. 2 were sporter and 1 was thumbhole. 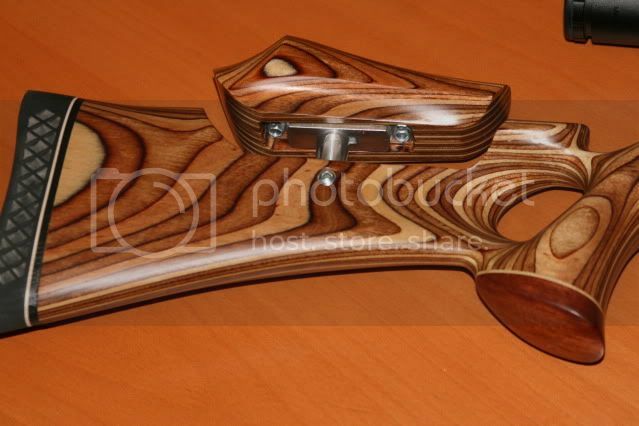 I have attached photo's of Gian's thumbhole stock, who was delighted at workmanship and quick turnaround time (1 week). Thanks everyone, thumbhole cheekpiece looks awesome. I'll definitely have it done, steve in high wycombe dosent answers his phones, so It will be Paul that will get my business. Once again thanks for replies. Probably didn't answer his phone as he is very busy, or it's his sixth sense spotting a pain in the arse. I was told by his misus he is seriously I'll and can't do any thing at the moment. As far as the pain, was it referred to my unwillingness to molest the beautiful stock or to the hard work involved. In any case thanks for repplies. I spoke to Steve Lanyman when I wanted an adjustable cheekpiece put on my Mk4 Sporter stock and he told me he couldn't do it as the stock was too thin for the adjusting mech that he uses. So mine went off to Paul Wilson too. 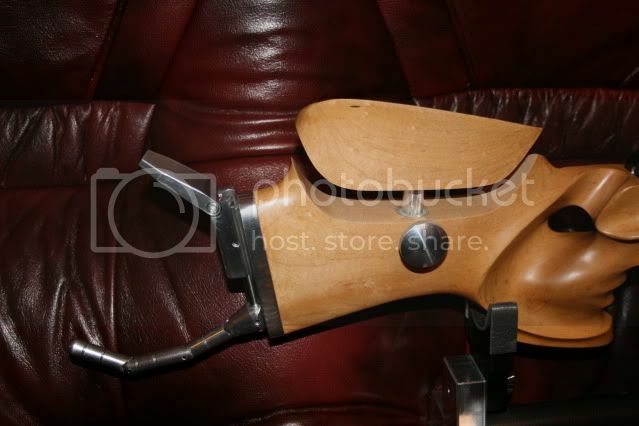 Thanks pod, after seeing the pics you sent me on Huggett moderator ( which is on my mk4 now) I fancied to have cheekpiece done as yours, uk niel dose with two legs and Paul although a little bit dearer dose is with single pin. I wasn't sure who did yours but it looks great.